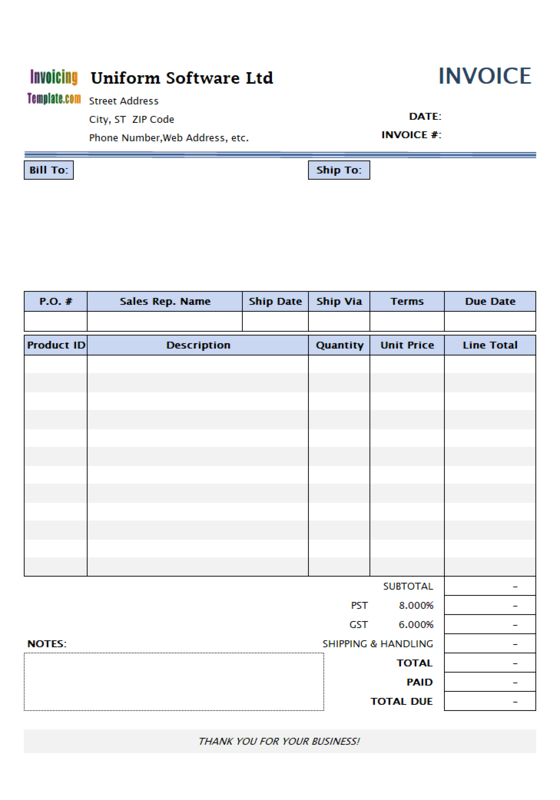 Download our amazing looking blank invoice templates and billing samples in Excel format (".xls" or ".xlsx") for free, which enable you to easily create invoices and bills as easy as filling in a paper form. 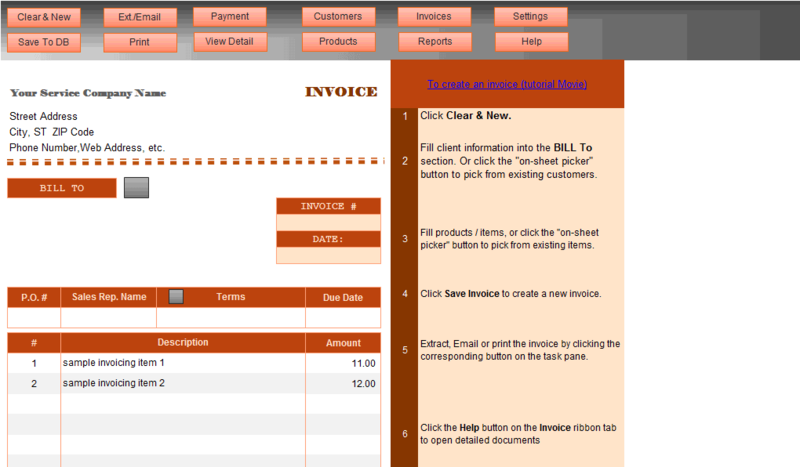 No hard learning curve like dealing with some complex and expensive accounting / bookkeeping systems. 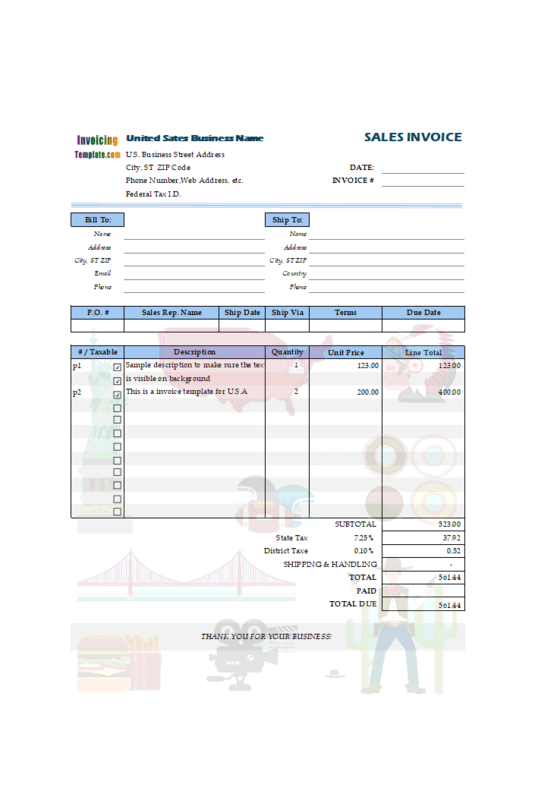 All the templates are printable with either Excel or Invoice Manager for Excel (namely Uniform Invoice Software), or you can choose to generate PDF invoices and then send electronically with email. 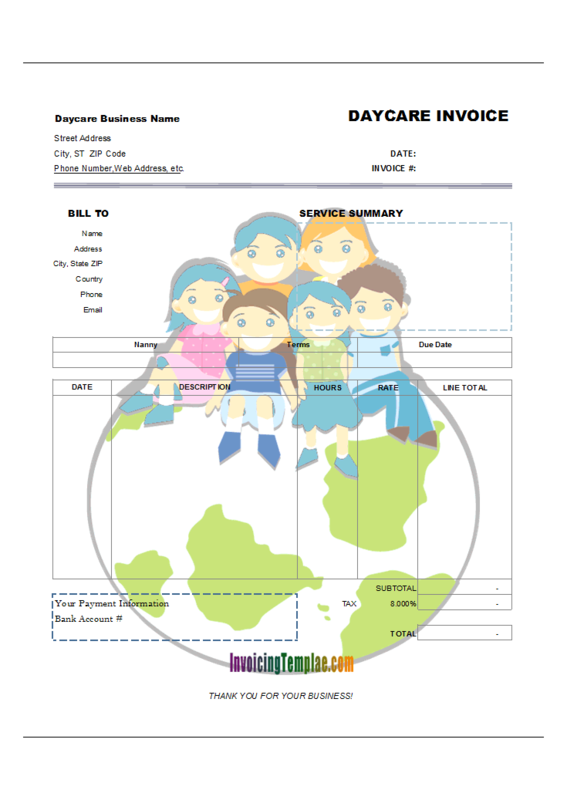 The blank templates offer a what-you-see-is-what-you-get experience on creating invoices. 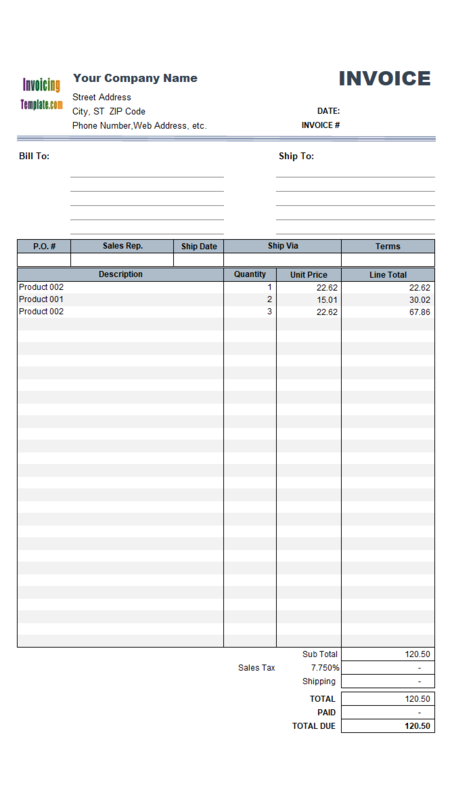 The layouts mimic paper sheet forms. 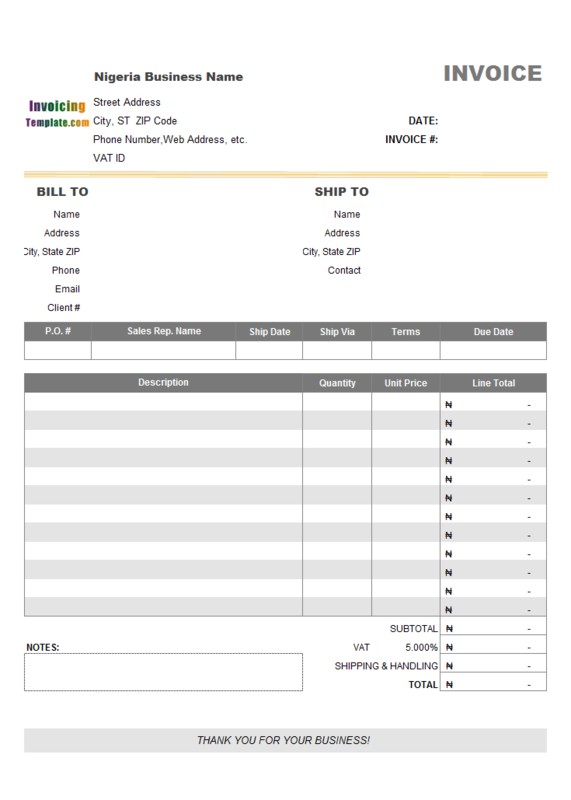 For example, if you want to fill in customer information, simply click one of the empty cells inside the "Bill To" section, and then start typing (or choose an existing customer by clicking the on-sheet picker button to bring up a list of all customers). 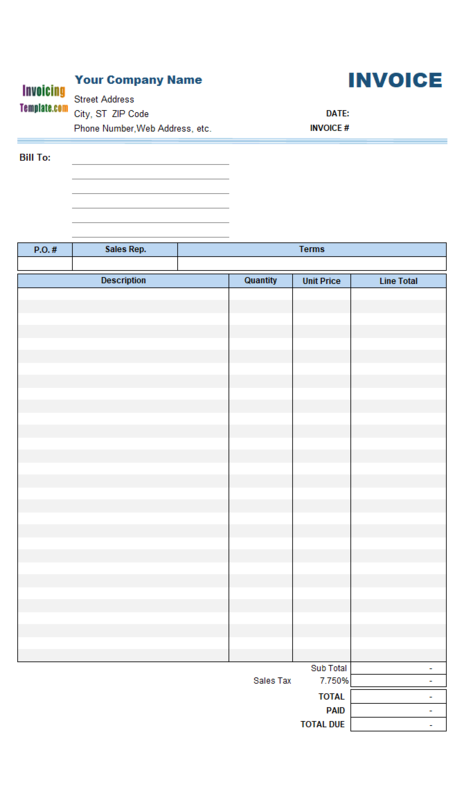 We choose to create the templates in Microsoft Excel spreadsheet format, instead of Word (".doc" or ".docx") format, for the reasons explained here. 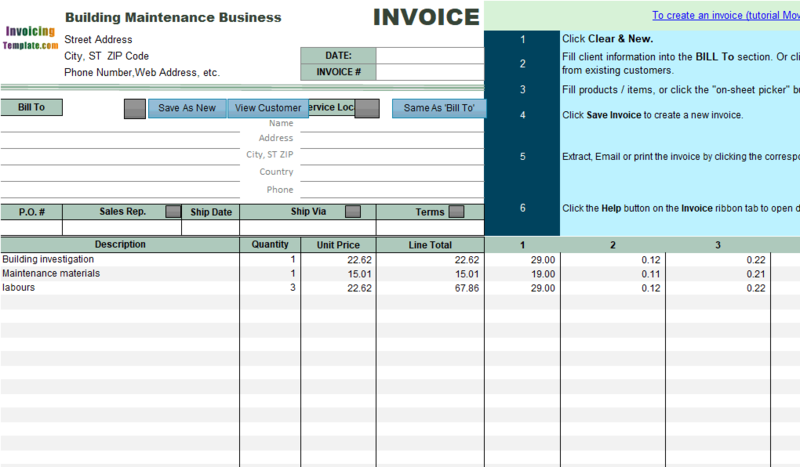 The empty cells (fields) that you should fill in are identified by names. 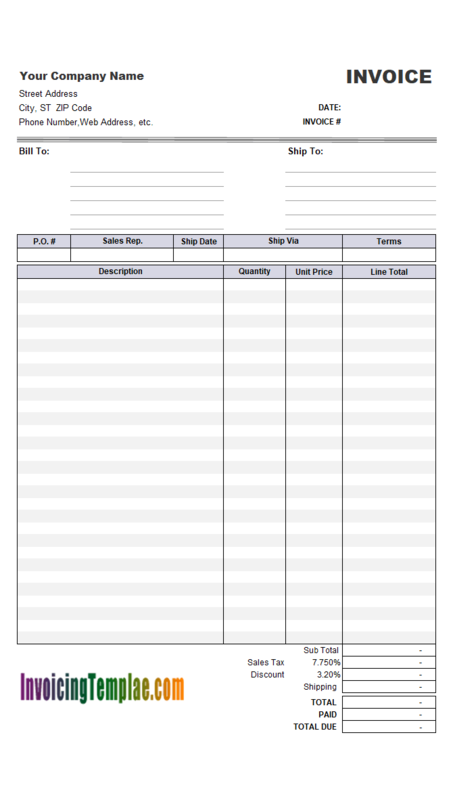 This enables you to move the cells (fields) around the form within the printable area without breaking the relationship defined by using Excel formulas. 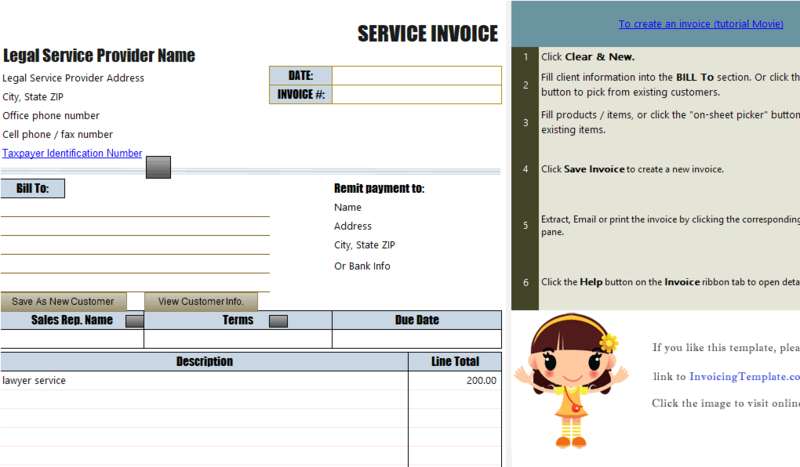 This means that, our blank invoicing forms are customizable by dragging and dropping. See this document for more details. 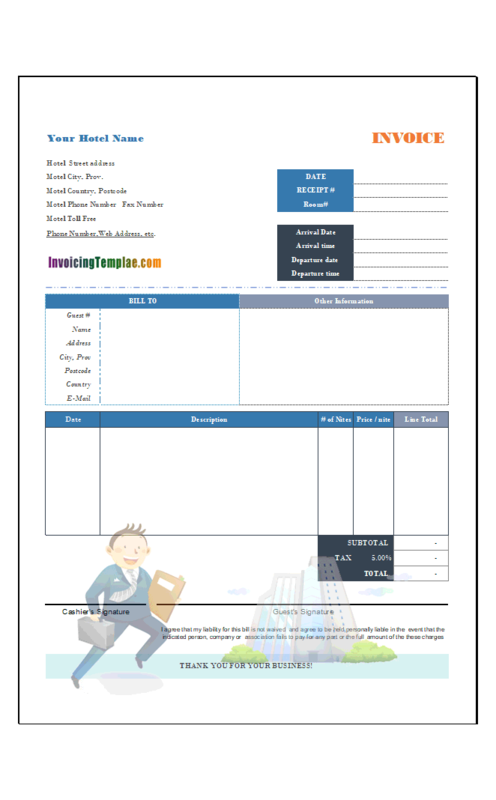 Here are our templates closely related to Blank Invoice Templates - 20 Results Found. 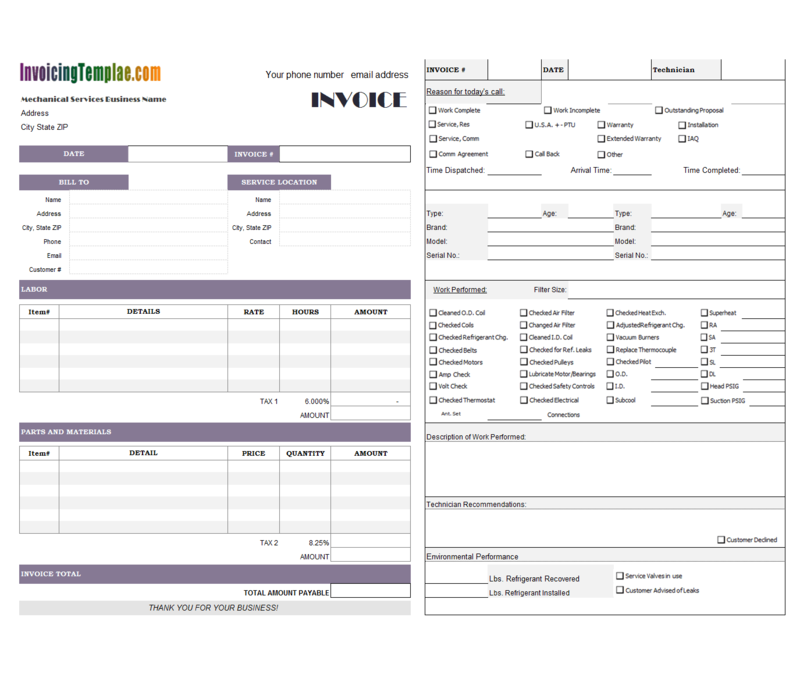 This form design, c3020 Blank Service Invoice Template with Auspicious Clouds Border / Blank Service Bill Format with Auspicious Clouds Border has exactly the same layout and fields as c3019, but with a different color schema and border. 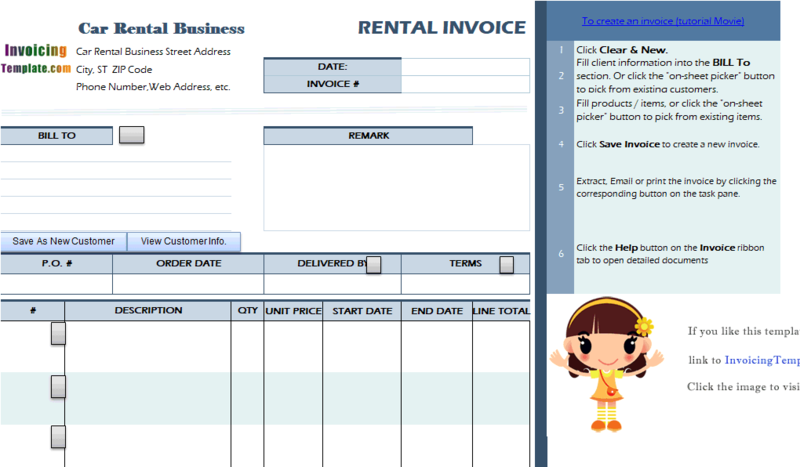 While the previous designs are more suitable for guests who rent multiple rooms (where the "Room#" is a column, with a "Check in" and a "Check out" field for each "Room#"), with this template the "Room#" is a separate field below the "Receipt#" field. 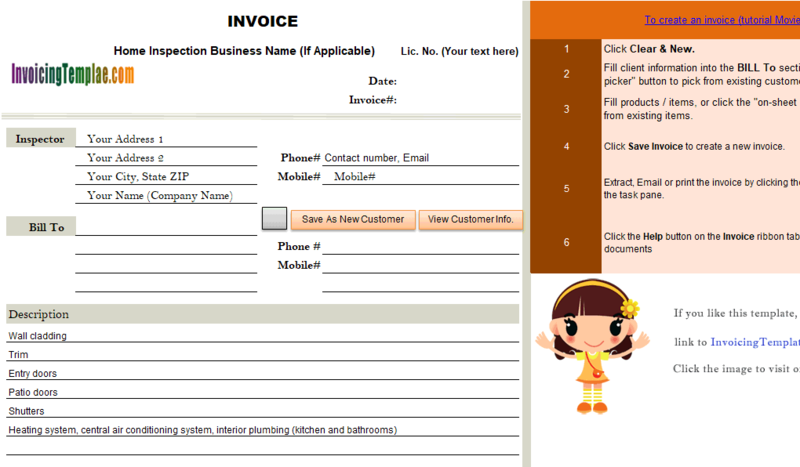 Although it has only 3 lines on the detail section, each line is able to holds up to 3 lines of text. This is especially useful for those who has long item descriptions. 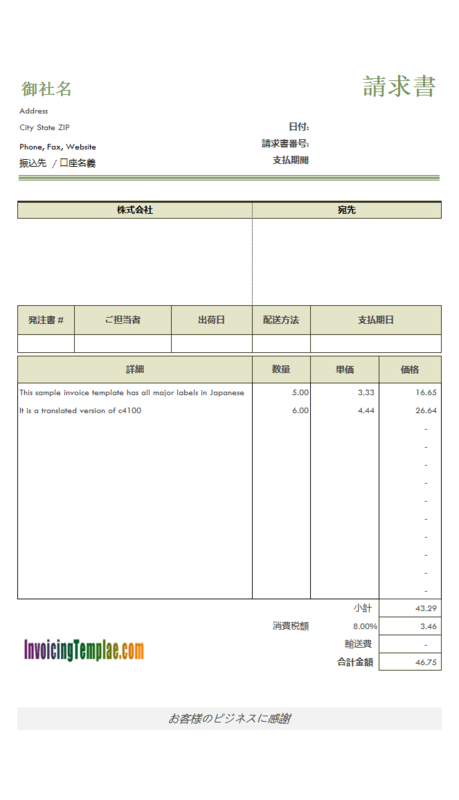 You can more samples at c4020 Invoice Template with Long Product Description. 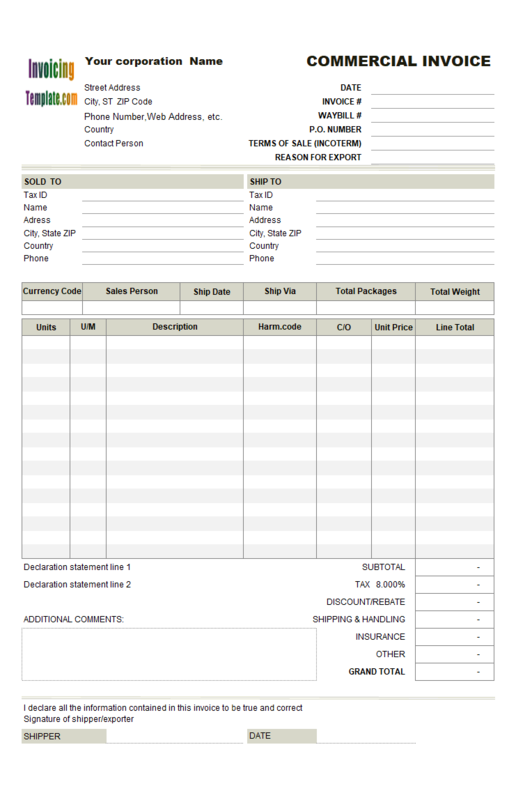 Note that the familiar "Thank you for your business" line was removed from the bottom of the sheet. 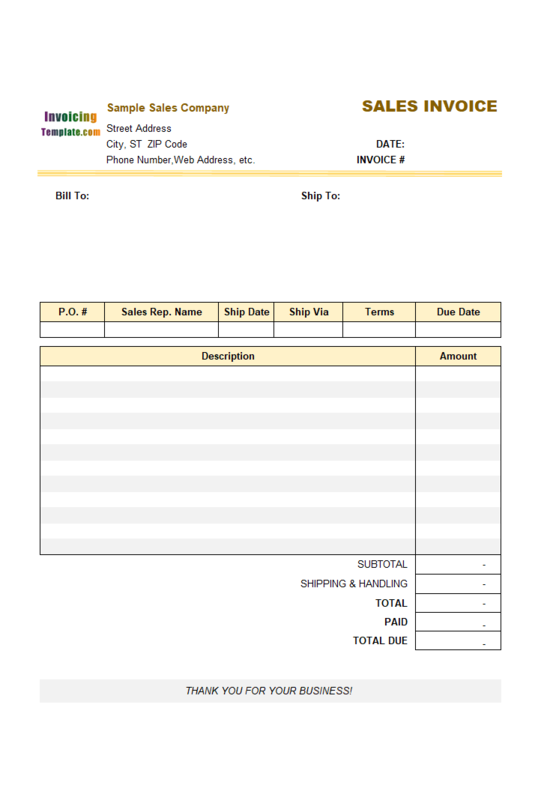 If you look at the printed invoice, there is a fine print on the bottom of the form that says "GOODS REMAIN PROPERTY OF BusinessName PTY UNTIL PAID IN FULL. 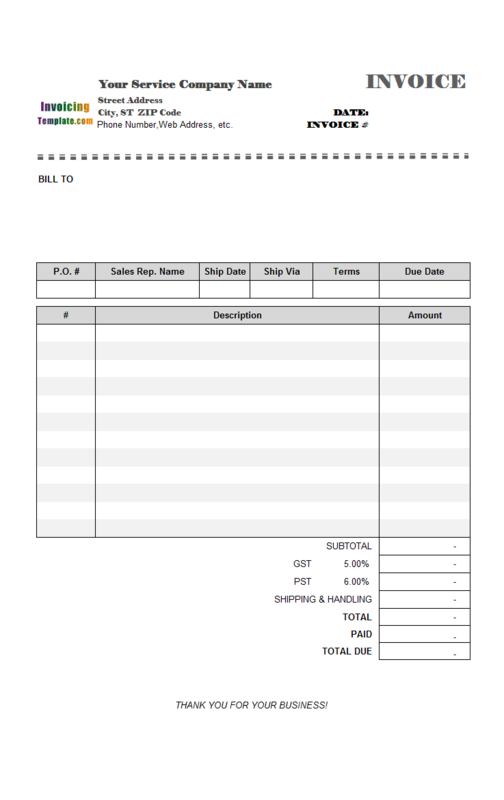 CREDITCARD PAYMENTS SUBJECT TO A 1½% SURCHARGE (VISA OR MASTERCARD)". This message is added to the page footer. 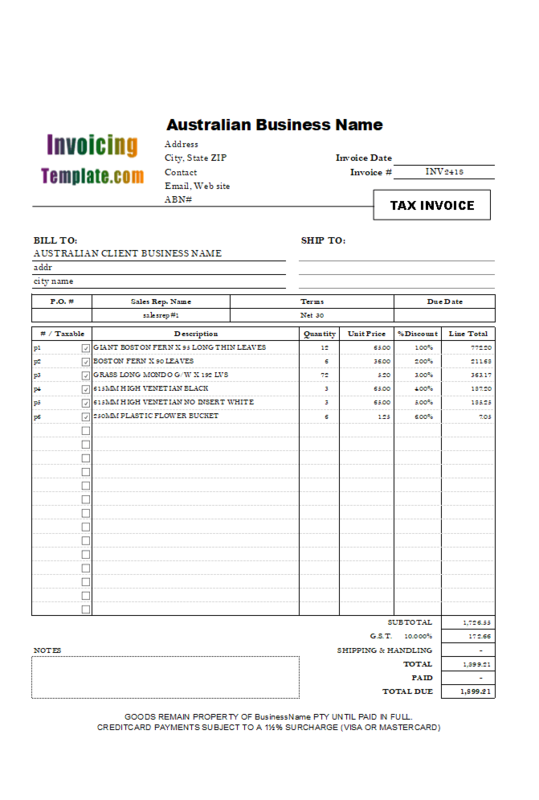 Most invoice templates available here on InvoicingTemplate.com have the printable area defined on the center of the Invoice worksheet with white background. This printable area, which is identified by Excel range name Print_Area, defines what will be printed when you execute the Print command in Excel. To setup/define the Print_Area name in Excel 2013, first select the cells you want to add to Print_Area, and then click Page Layout > Print Area > Set Print Area. When you save your workbook, the print area is saved too. 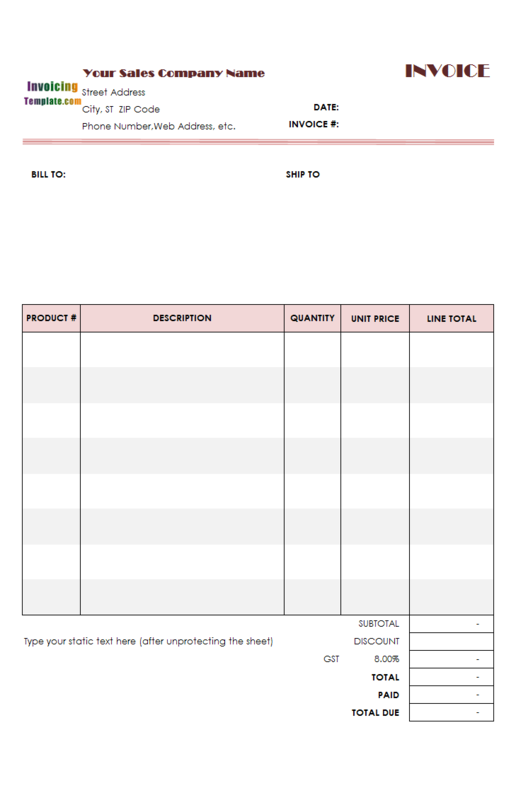 The prices in this template are defined as amount value. 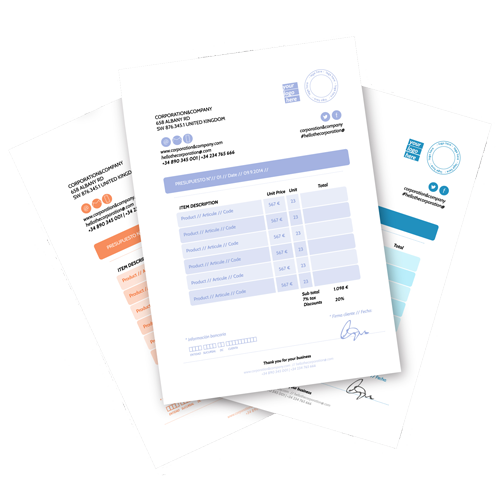 For the editions that support discount percentage, see Form with Five Price Percentage Levels (Sales) and Form with Five Price Percentage Levels (Service). 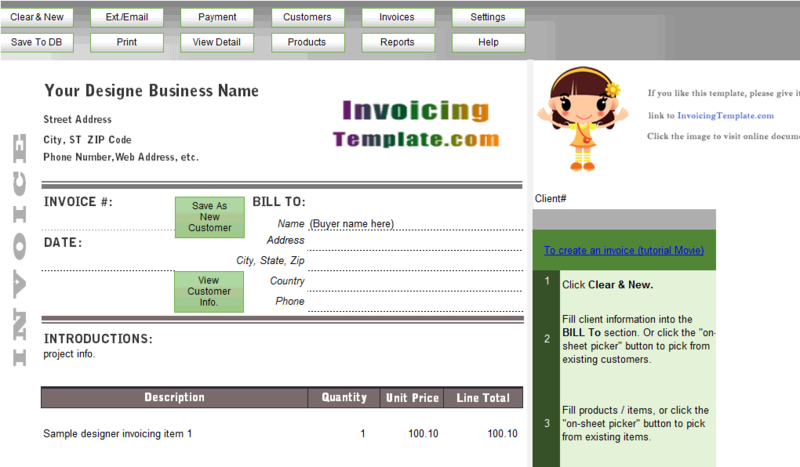 The main purpose of creating this invoice template on InvoicingTemplate.com is to provide a sample on using custom fields with Invoice Manager for Excel. 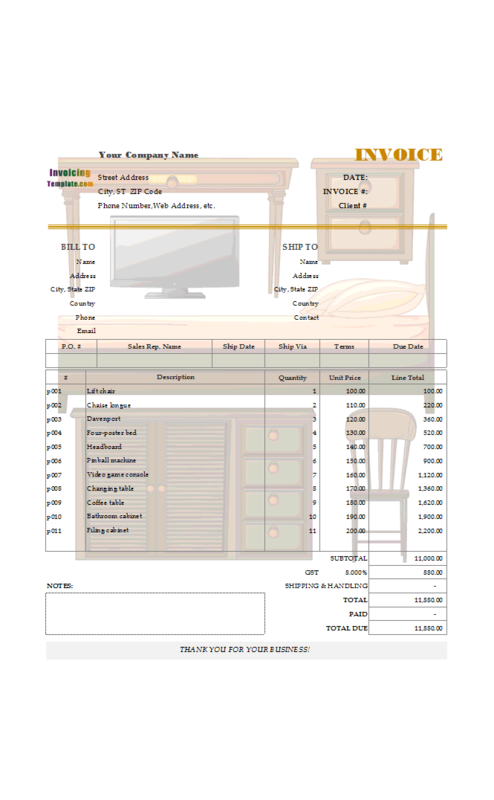 This Excel sheet is created based on c1002 House Rent Receipt Template. Like the original design, it has only one big column. 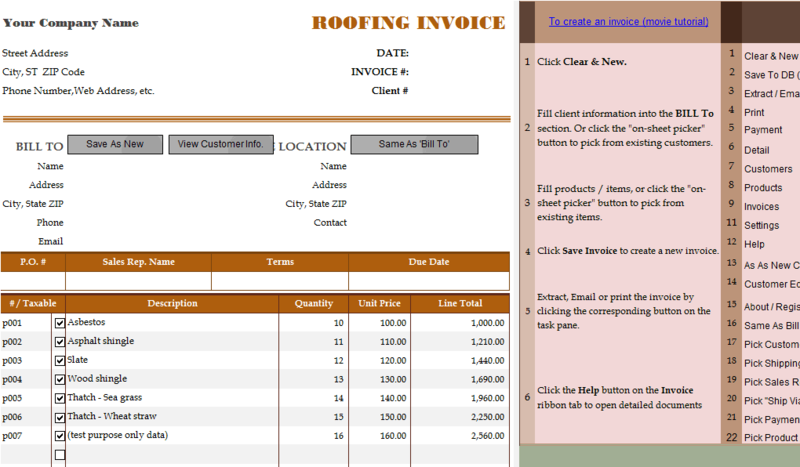 There are no usual columns that are found on many other templates on InvoicingTemplate.com, such as "Quantity", "Unit Price" and "Line total". 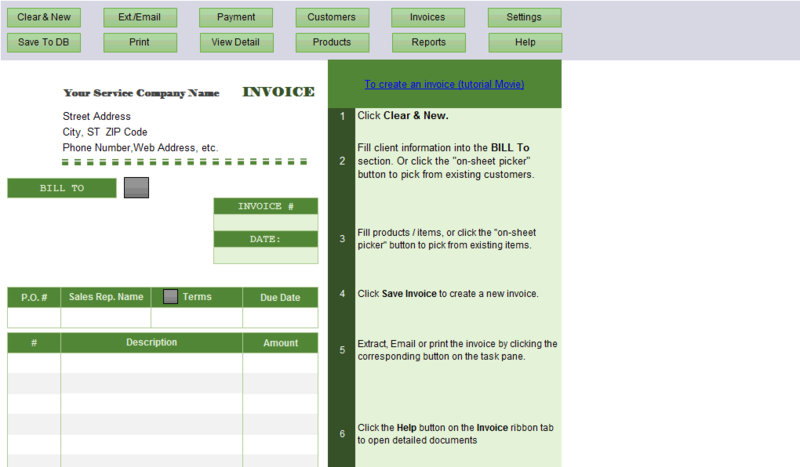 You will enter the amount to pay into the field titled with "Total amount to be received" on the bottom of the form. 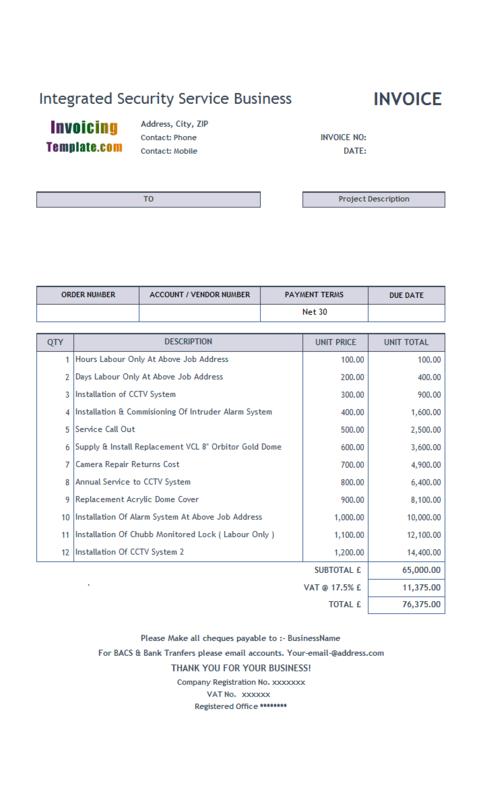 This free building maintenance invoice template in Excel spreadsheet format features a carton building image with three workers on the left-bottom of the form. 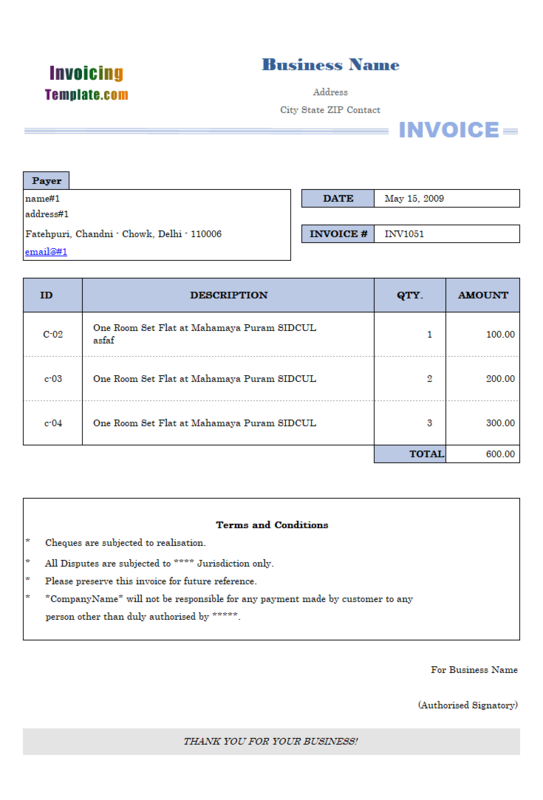 It is able to do multiple-level discount / pricing calculations.